The Liverpool superstar Mo Salah has been named the English premier league of the season 2017/2018. Salah won fellow nominees David de Gea (Manchester United), Harry Kane (Tottenham Hotspur), James Tarkowski (Burnley), Kevin De Bruyne and Raheem Sterling (both Manchester City) in an online vote, Salah has now been recognized as the Premier League’s star man for 2017-18. On winning the EpL award, it makes it Salah’s 35th award since his arrival at Liverpool. The 25-year-old has scored 31 goals in 35 appearances in the competition during his maiden campaign at Anfield. On recieveing the award, the Egyptian said: “I’m very happy, it’s an honour to win this award. 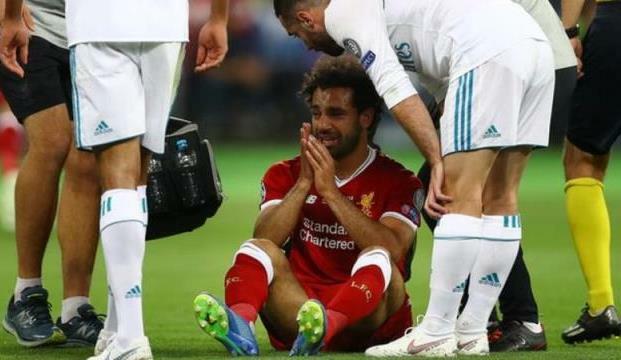 Salah went on to pay tribute to manager Jürgen Klopp, who he believes has played a key part in his emergence as one of Europe’s premier goalscorers this season. He added: “Before everything, we are friends, I like him a lot. “He has helped me a lot to do what I’m doing now, on the field and off it, I have to thank him for everything he has done this year. “But [there are] still two games, we have to think about that. Salah becomes the third Liverpool player to secure the prize, after fellow forwards Michael Owen and Luis Suarez.